OSK maintains OVERWEIGHT on the sector, as they see local education providers gaining strength in 2012, driven by the Government’s initiatives to spur the private education sector. 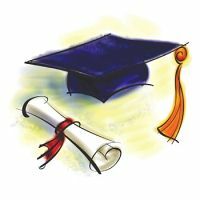 Meanwhile, as the PTPTN works towards sorting out its collection woes, there appears to be a growing trend among local institutions to tie up with more reputable foreign institutions, which will further enhance Malaysia’s appeal as an education hub and an alternative destination for foreign students. Below are the target price, market capitalization and rating for selected stocks in education sector. 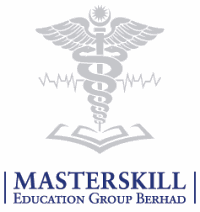 Masterskill Education Group Berhad (MEGB, 5166) was incorporated in1997. It was listed in Bursa Malaysia Main Market on 18th May 2010 at an IPO price of RM3.80. The shares price drop to below RM1.70 in March 2011 due to heavy share disposal by their foreign investor. Regardless, on why foreign investors decided to dispose their shares, MEGB has a recession proof business with a good growth prospect. They are going to pay good dividend yield too. In the IPO prospectus, MEGB specify that they intend to pay in between 50% to 60% from net profit as dividend. For financial year end 31st December 2010, they keep their promise and pay 60% of net profit as dividend. This translate to 14.9 sen & dividend yield of 7.2 %. This clearly more than double of current fixed deposit rate. Share price recover improve after 2010 final dividend announcement. There are a few research house make buy recommendation for MEGB. The table below are the latest fair value or target price. Every beginning of a new year, The Edge Malaysia, make a recommendation on the counters to Watch for that year. Similar to year 2010, they recommend 10 counters to look for based on its fundamental and share price valuation. The selection also taking into account the stocks liquidity and long terms return.